These 5 Social Selling Accessories Don’t Exist, But Should They? For more than 100 years, organizations have given away branded accessories to promote products and services. 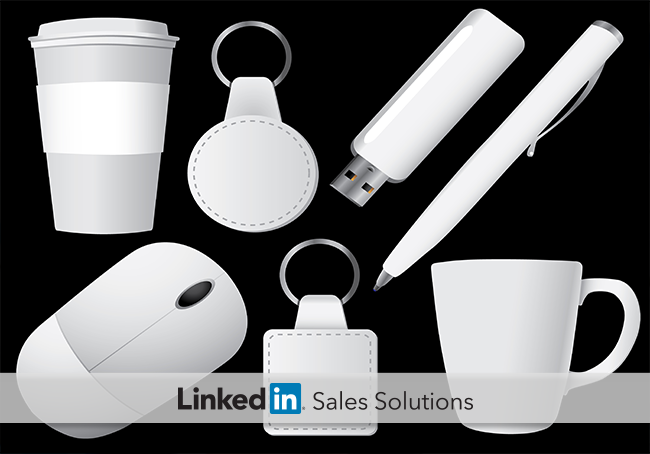 Learn about swag for the social selling era. Since the turn of the 20th century, companies have been giving away accessories – swag, in the contemporary parlance – to help consumers remember their brand. Early forms of swag included buggy whips and horse hats, promotional items that went the way of the stagecoach with the rise of rail and motor travel. Just as times have changed on the swag front, the business of selling has also evolved. Cold calls and unannounced visits were the lifeblood of sales professionals in the age of horses and buggies. Today, cold calling is dead and social selling has replaced outdated sales models. But what kind of swag is appropriate for today’s sales pro? 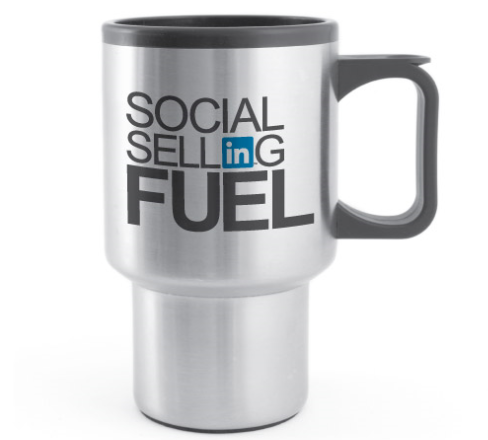 Do social sellers even need swag? Below you’ll find five ideas for promotional items social sellers might enjoy. You be the judge. We’ve all seen those little car deodorizers hanging from rearview mirrors and radio dials, often little trees in a plastic bag. Building off of the ingenuity of this ubiquitous element of car culture is the “Cold Calling Stinks” air freshener. With this handy item, social selling pros have a ready reminder that cold calls provide a rapid route to rejection (90% of decision makers never respond to a cold call). 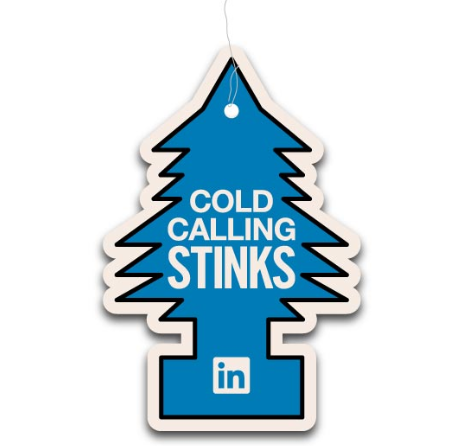 But just what scent might the “Cold Calling Stinks” air freshener have? Think warm scents, to emulate the spirit of a warm introduction established with the help of social selling tools like TeamLink. Another potential swag hit for the sales professional’s vehicle is this thought-provoking sticker. With it, you can make the statement that social media platforms represent an important “vehicle” for your sales efforts. Sales professionals like you increasingly rely on social networks as an important “driver” of success. Research shows that 75% of B2B buyers use social media as part of their decision process. Further, social buyers make 61% more purchases a year than other B2B buyers. When you’re on the road for sales meetings, let others know you take building relationships with buyers seriously. The “B2BEAST” license plate enables everyone you come across to understand that you literally mean business. 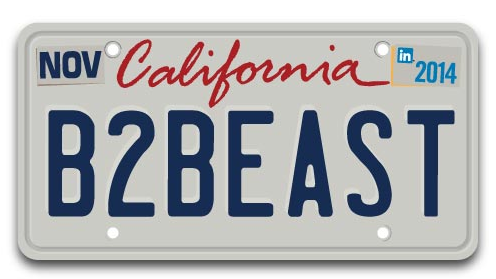 Of course, only one “B2BEAST” plate can be issued by each state, so you’ll have to be the first to claim this awesome auto accessory in your area (if it hasn’t been snatched up already). When you do, you can cruise (and sell) with confidence wherever you go. Whether it’s a hot coffee, a soothing cup of tea, or a sugary sports drink that gets your juices flowing, this travel mug will let everyone you come across know that you are gearing up for a day filled with finding the right people, engaging them with insights, and building strong relationships. Sales organizations that aren’t connecting through social selling are drastically limiting their ability to grow business. In fact, IDC research shows that 76% of B2B buyers prefer to work with people who are referred through their professional network. 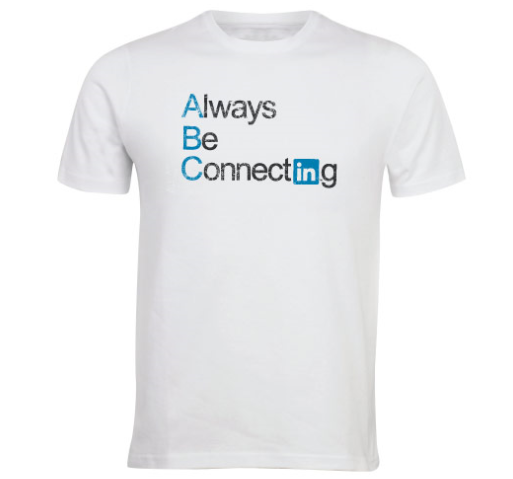 The “Always Be Connecting” T-Shirt can serve as a ready reminder to build trusted relationships through the social selling practices critical in today’s B2B environment. Wear it under your work attire to feel superhero-esque. So what do you think? Are these need-to-have products that should be offered at the next social selling conference, or would a useful whitepaper download provide greater benefit? Learn about social selling adoption tactics that can help your entire organization get onboard with social selling. 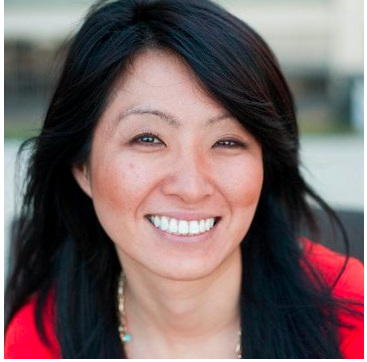 Check out LinkedIn’s “How to Move Your Team to Social Selling” eBook.